My wife and I were talking last week about our memories of the Ekka and how quickly it has come around again. We both grew up in NSW, so only have recent memories of the Ekka. The Ekka is one of the great family events of the year. What makes the Ekka such a wonderful event is its broad appeal with something for everyone. In 2016 I went to the Ekka with a group of prep children, and I spent $20 all day (the entrance ticket was purchased through the school). “The Ekka connects exhibitors with a diverse range of customers, with most attendees staying at the show for more than seven hours and spending an average of $300”. 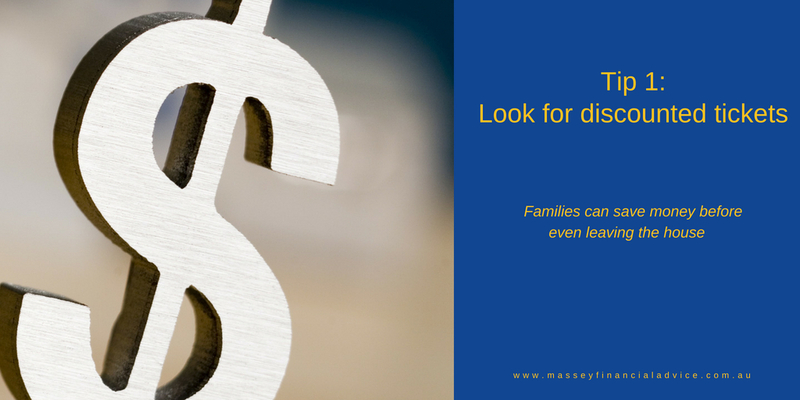 Having fun and keeping the family entertained doesn’t need to break the bank. 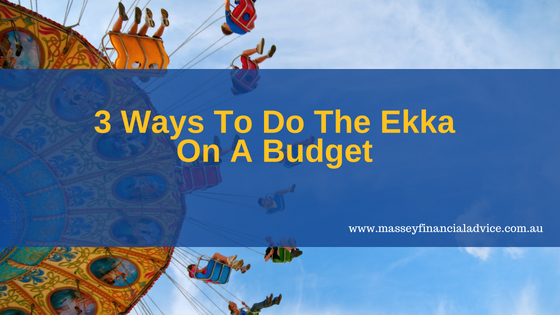 Here are my top three tips on how not toblow the budget when going to the Ekka. Families can save money before even leaving home, by purchasing your Ekka tickets online. You can get a 15% discount off the purchase price via the Ekka site or RACQ. There are also Family passes and Group passes which will save you even more. The best part is, once you purchase your ticket and enter the gates there are a large variety of free activities available, in fact I heard 70% of all activities are free. The best way to plan your day is to use the Ekka Entertainment guide to focus on doing as many free activities as possible with a few paid rides and activities in between, if you have to. These two areas can easily blow the budget. 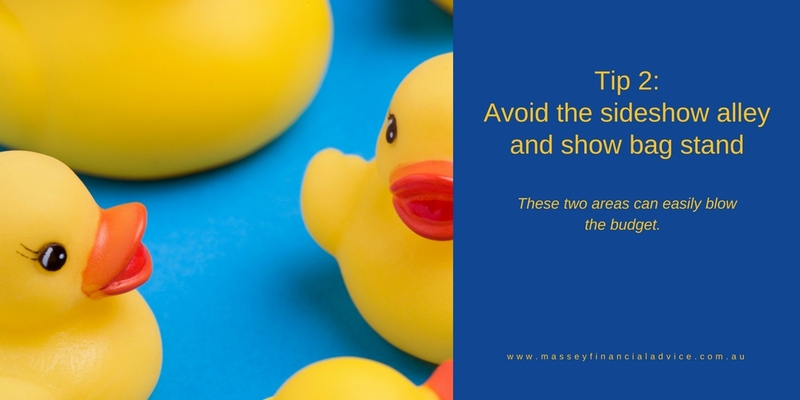 The best way is to try and avoid them altogether and enjoy the other (free) activities. The daytime entertainment line-up is fun for the whole family – see pigs fly, watch wood choppers battle it out, be wowed by death-defying motorbike stunts, learn about agriculture at the children’s stage show, produce displays, free performances, children’s art displays. And at night, breathtaking fireworks displays and much more. 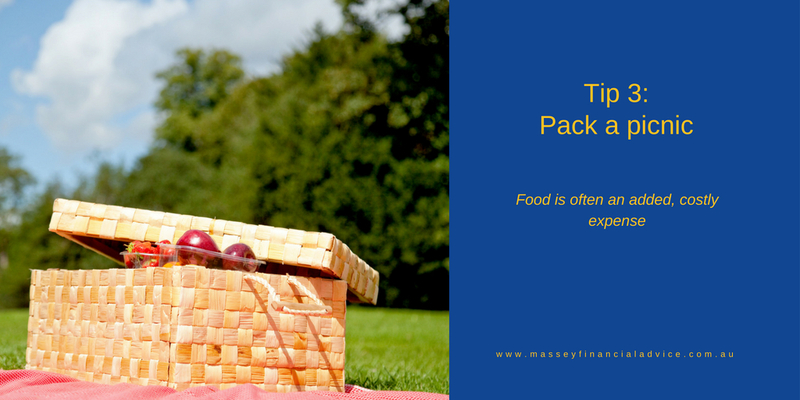 3 – Pack a picnic Food is often an added, costly expense at these types of events. Don’t despair. The Ekka is BYO. Bring your own food, that is. You can pack a picnic to enjoy in one of the free Chill Out Zones, or while watching some judging in the main arena. Instead of splashing out on costly snacks, showgoers can take advantage of the free snacks in the Fresh Food Pavilion. You can also bring along your drink bottles and top them up with filtered tap water at several sites. There are also lockers available so that you don’t have to lug your supplies around all day. Another important thing to remember is your sunscreen and hat. And the best bit of the Ekka last time for me was teaming up with another parent and going with 6 prep children and returning with (the same) 6 prep children! By the end of the day I was totally exhausted though, as was my daughter. As for that $20, what did I spend it on? The famous strawberry sundae for me and my 3 prep students – which also worked as an incentive for their good behaviour. I am a Brisbane based financial adviser with clients in Ashgrove, The Gap, Kenmore, Chapel Hill and other parts of Brisbane. I help professionals make informed decisions and take back financial control. I offer a 30-minute financial review session. In this session, I can review your current financial situation. I can see if I can help you achieve your financial goals and the best (and quickest) way to do so. You can contact our office on 07 3102 4948 or book a time that suits you via the link below.